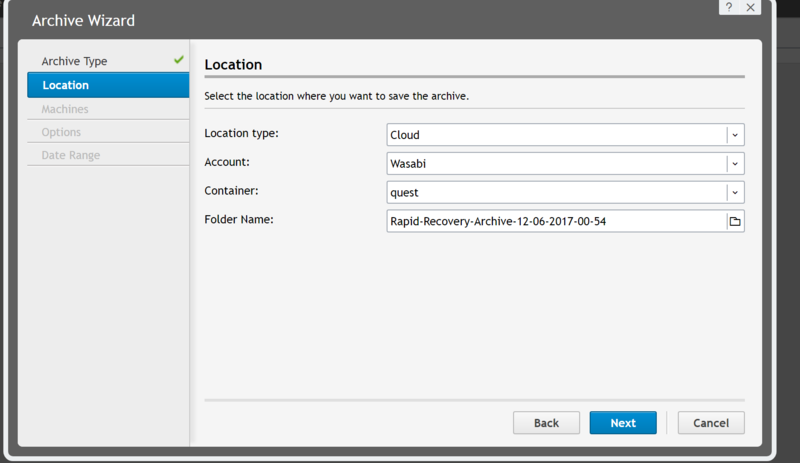 Quest Rapid Recovery is certified for use with Wasabi. To use this product with Wasabi, please follow the config details for Rapid Recovery as shown below. 2. 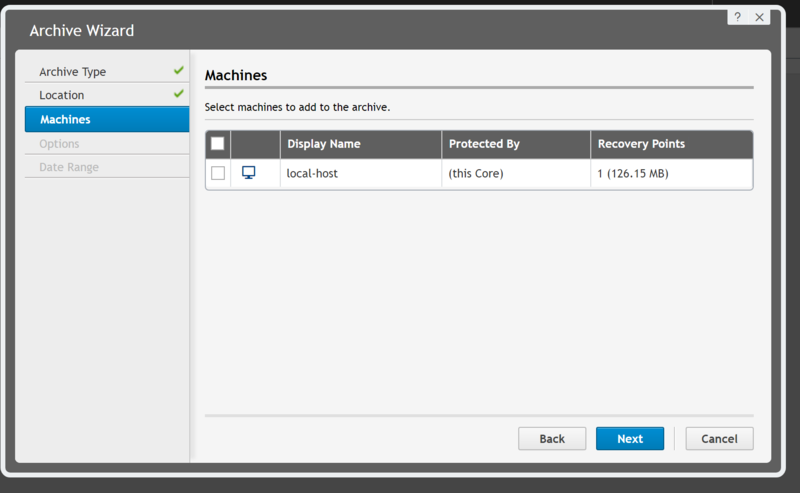 After you set up the cloud account, you configure a machine to be protected and create a restore point which is like a snapshot. 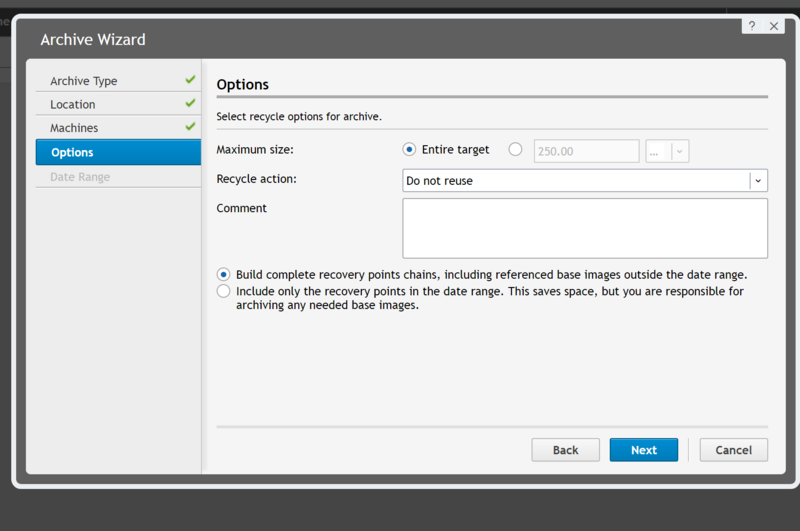 One you have the snapshot created you can use the cloud to back it /Archive as shown in the sequence below.